Former Mizoram governor Aziz Qureshi also asked how an explosive-laden vehicle could enter the state unless the administration was in the know. 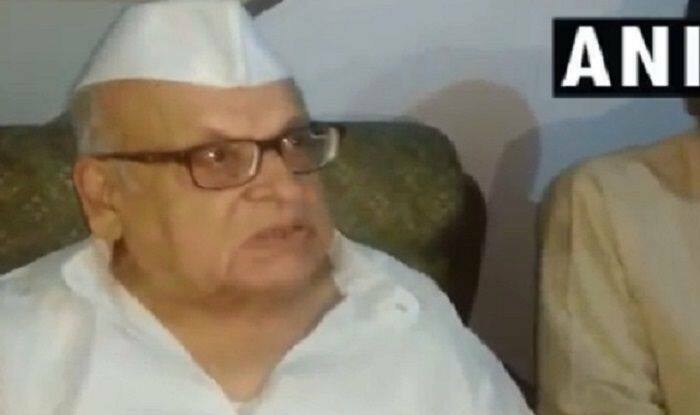 New Delhi: A former governor and Congress leader has claimed that the Pulwama terror attack was orchestrated by PM Modi for the coming Lok Sabha elections, said reports on Monday. Former Mizoram governor Aziz Qureshi also asked how an explosive-laden vehicle could enter the state unless the administration was in the know. He also added that if PM Modi thought he could win the election by planning the martyrdom of 40 CRPF personnel, the voters will respond to his ploy. He said if the PM thinks he can emerge victorious by plotting the attack that left so many personnel dead, the public won’t allow him. Reports say Qureshi also ridiculed BJP for failing to name its candidate against Congress’ Digvijaya Singh from Bhopal Lok Sabha constituency in Madhya Pradesh. He said BJP leaders were afraid of losing against Singh and so, were finding it tough to pick a candidate against him. Similar statements have been made by other leaders as well. Congress leader B K Hariprasad had called Pulwama terror attack a ‘match-fixing’ between the Prime Minister and Pakistan. Samajwadi Party (SP) leader Ram Gopal Yadav had also called Pulwama terror attack a ‘conspiracy’. He had said no checks were made in J&K and the CRPF personnel were made to travel in ordinary buses despite their demand for an aircraft. On February 14, a terrorist belonging to Jaish-e-Mohammed had rammed an explosive-laden car into a CRPF bus which was part of a convoy on Jammu-Srinagar highway. The attack had left 40 CRPF personnel martyred and many were injured.